Need a vacation, but short on cash? Don't let that keep you at home. Here are five of the cheapest U.S. cities to visit. 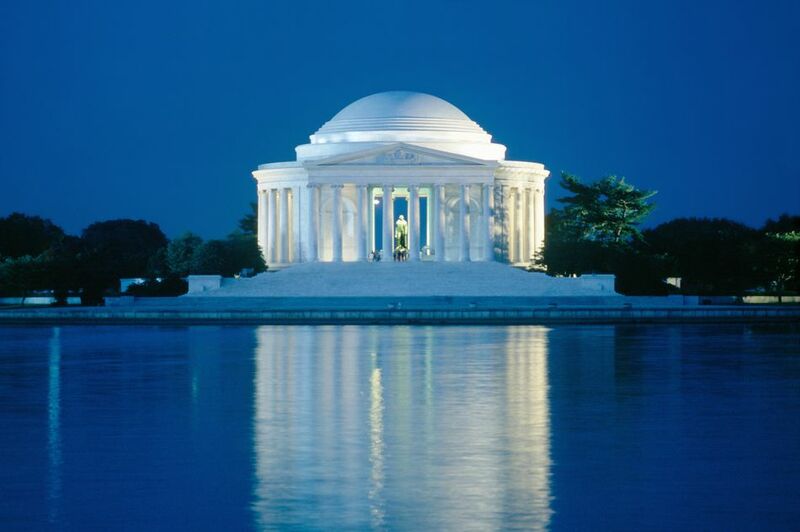 With cheap flights and more free museums and historic sites than you could ever hope to visit in a year, Washington, D.C. is hands-down one of the cheapest cities to visit in the U.S. Stay outside the city in the Virginia suburbs, to dodge the cities outrageous hotel rates. Then, shuttle in an out on the Metro. For cheap eats, check out the food trucks that set up at Metro Center, the Navy Yard, McPherson Square and other spots around town. Interested in catching a National Symphony Orchestra performance while you're in town? Buy tickets to one of their family concerts. Seats start at just $15. Call it The City of Brotherly Love, or call it The City of Budget Travel. Philadelphia is a definite bargain for vacationers. Many of the historic sites, like Independence Hall and Liberty Bell Center, offer free admission. If you go, be sure to catch one of the free twilight tours offered by the Friends of Independence Hall. The Philadelphia Mint is also free to tour, and well worth a visit. To keep your food costs down, check out the Reading Terminal Market. With more than 80 food vendors, it's a foodie paradise. If you're in pursuit of an authentic Philadelphia cheesesteak, be sure to order one with whiz (cheese whiz). That's what locals do. Hotel rates are reasonable. Book a room near Independence Hall, and you'll be able to explore the city on foot. Cheap flights, cheap rooms and cheap buffets make Vegas an affordable vacation destination, but only if you stay away from the tables. If you're going to gamble, give yourself a budget, and stick to it. Then, spend the rest of your time taking in all the free sites, like the dancing Fountains of Bellagio, the Mirage Volcano and the Viva Vision overhead light show at The Freemont Street Experience. For the best room rates, book a mid-week stay, or make plans to visit in the summer. Known as Music City, Nashville has turned into a bit of a tourist hot spot in recent years, but it's still a fun and affordable town to visit. Rooms at The Gaylord Opryland Resort tend to be a bit pricey (think low $200s), but you may be able to find a special promotion to take advantage of. If not, just stay at one of the many affordable hotels in the area, and pop over to Opryland to enjoy the Atrium, restaurants and shops whenever you want. Tickets to the Grand Ole Opry are in line with what you'd expect to pay for concert tickets back home, and you may be able to find an online promo code to sweeten the deal. Spend the rest of your trip taking in all the free experiences that Nashville has to offer. There's a free nightly performance at the famous Blue Bird Cafe ($10 food/drink purchase per person required); and a trip to the Parthenon at Centennial Park or the Duke's of Hazzard museum, known as Cooter's Place won't cost you a cent. Like all things vintage and antique? Then, be sure to visit on the fourth weekend of the month. That's when the Nashville Flea Market takes place. Find a cheap flight and a sweet AirBnB deal, and enjoy all the free things that Portland has to offer. There's Forest Park, one of the nation's largest urban forests and Mill Ends Park, the world's smallest park. There's the Ira Keller Forecourt Fountain and the International Rose Test Garden in Washington Park. And there are miles and miles of bike and walking trails connecting it all, plus a sweet public transportation system to boot. When you get hungry, you won't have any trouble finding cheap eats. This town is known for its thriving food-to-table scene, which includes countless restaurants at every price point, and a big farmer's market, too. If you like to get your drink on, check out some of the microbreweries in town, many of which offer free brewery tours at least one day a week.